This comfortable motel’s slightly off-the-beaten-path location in West Seattle helps keep room rates moderate. Basic rooms are clean and bright, equipped with flatscreen TVs, mini-fridges and coffeemakers, and the Wi-Fi is fast and reliable. 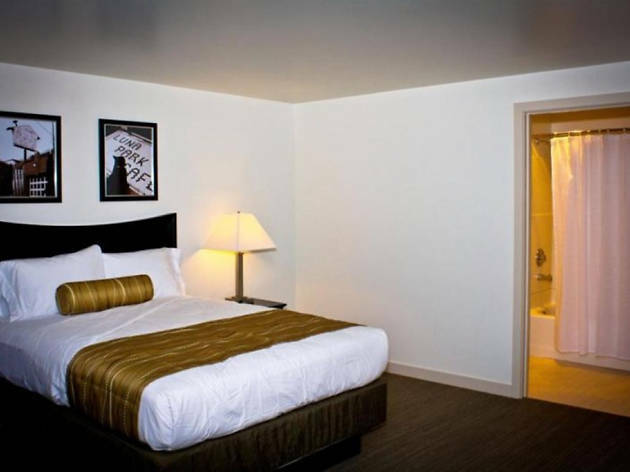 There are laundry facilities on-site, and complimentary amenities include on-site parking and a daily continental breakfast. For guests who need to stretch out, suites include sofa beds and kitchenettes.